No matter when you make your way for traveling to Vietnam, whether its winter or summer, there is always a melted mouth for what is called Pho Bo, a Vietnamese noodle soup. 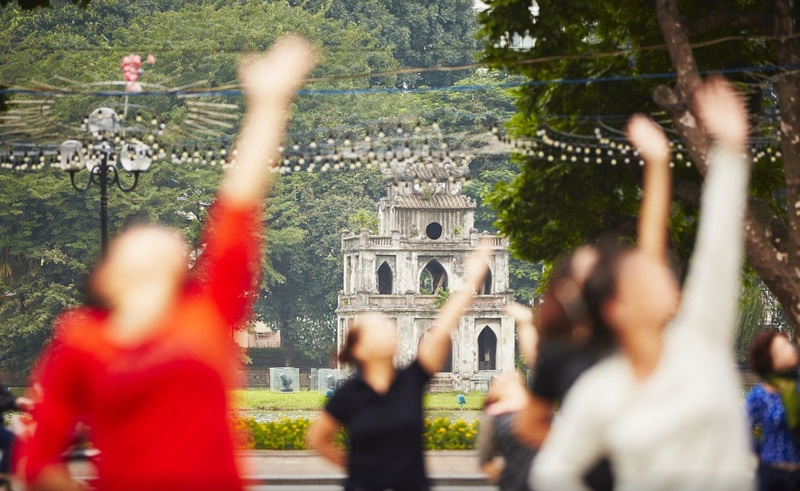 Is not yet light and a group of women is doing tai chi beside Hanoi’s Hoan Kiem Lake, their cheeks red from the cold. Dressed in padded velvet jackets and black trousers, they raise their arms in unison, watched by an old man who sits at a sidewalk stall, eating a bowl of steaming beef soup. Pho Bo says a hand a hand-lettered sign hanging nearby, where a woman stands over a huge cauldron, warming her hands. Hunched on an ankle-high plastic stool, the old man is joined by other diners: office workers stopping for a quick breakfast; school kids bundled up against the January chill; two old friends who’ve worked up an appetite over an early morning game of badminton. WHAT IS PHO NOODLE SOUP? What is Pho Bo? A clear broth poured over rice noodles and beef or chicken, is as much as ritual of Hanoi life as are early morning exercises. 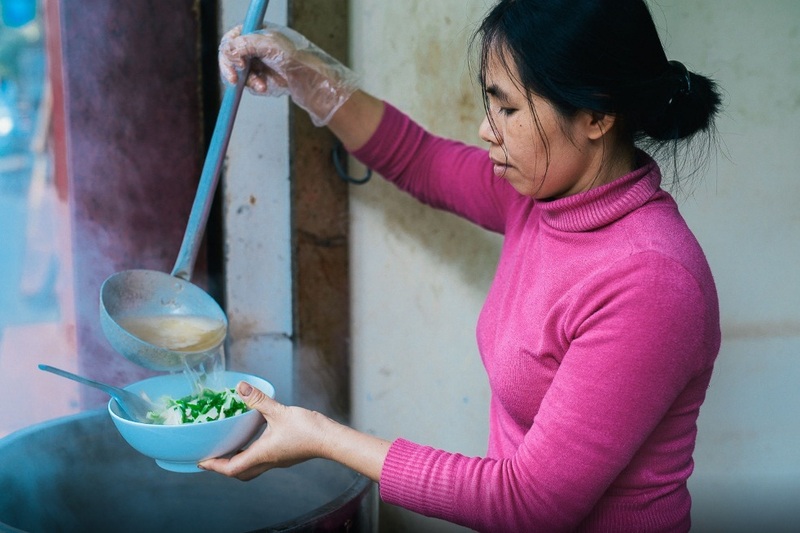 In the early decades of the 20th century, the best pho bo (noodle soup) in Hanoi was served by mobile street vendors, who carried a charcoal burner, a pot of soup and serving bowls strung from bamboo shoulder poles. Today, any time of day or night, you’ll find Hanoians seated at sidewalk stalls or in plain, open-fronted restaurants enjoying simple yet delicious meal. 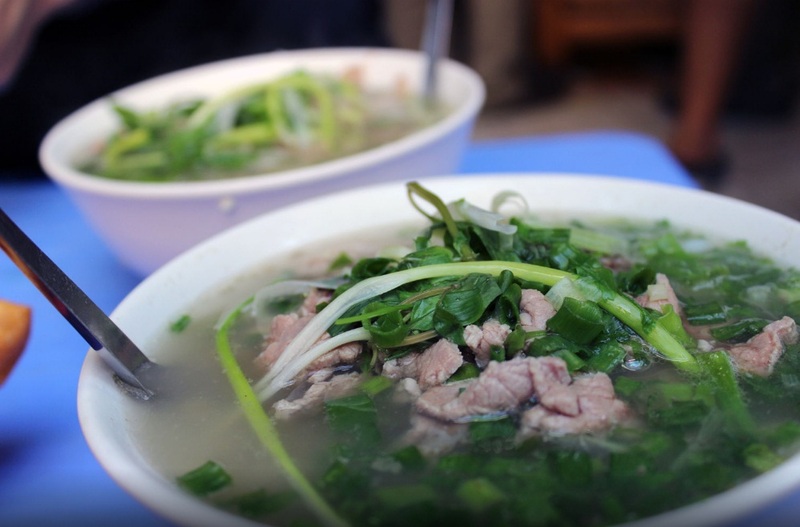 Often identified as the quintessential Vietnamese food, pho is served throughout Vietnam. 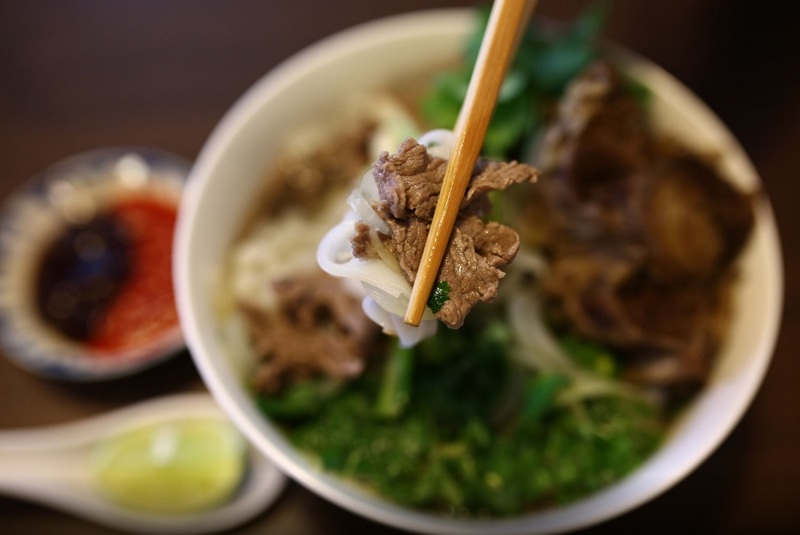 Hanoians, however, refer to pho as “Hanoi-Soup” and insist that phi found outside of the capital is but a poor imitation of the real Vietnamese cuisine. When you order a bowl of Pho Bo, the cook ladles boiling broth, made from stewed meat, bones, dried shrimp, ginger and fish sauce, into a bowl containing thin rice noodles, strips of boiled beef or chicken, sliced onions and green onions. Add a little lime juice, some vinegar, chili peppers and fish sauce, and you’ll understand why almost tourists would love to try this simple happiness while they travel through the country. Vietnamese cuisine are vary and different from one region to the other, you may find even different ingredient for making a Pho Bo (Vietnamese beef noodle soup) in different cities, generally, having a Vietnamese food is not about ordering a single dish when you are in a restaurant, in such most of the travelers are wondering what to eat and how to order, here is the tips, go for one food and choose different side dish such as salad and or soup, the best practice is to have a local friend with you.